The Small Business Innovation Research for Defence (SBIRD) program provides an opportunity for Australia's Small to Medium Enterprises (SMEs) to undertake research projects which have potential for future Defence application. A Defence innovation initiative, the SBIRD program is managed through the Next Generation Technologies Fund. The program seeks to encourage a new generation of innovators in developing breakthrough technologies for the Australian Defence Force. May relate to specific challenges identified by Defence, or have a broader scope across an emerging technology field with potential for disruptive innovation. Are research intensive and address future-focused challenges aligned with DST strategic direction and work programs. SMEs are a critical part of Australia's defence industry and provide agility and risk tolerance for innovation. The SBIRD scheme brings a focus on supporting SMEs in undertaking research to find innovative solutions to specific defence challenges. Stage 1: specific challenges will be identified for each round, addressing a future Defence problem. Initial funding will allow research to be undertaken to assess the feasibility of the idea. As a guide, Defence Technology Readiness Levels range from 1 – 3 in Stage 1. Successful projects will be invited to apply for Stage 2. Stage 2: further funding will be provided for research into testing the idea against the application (potentially proof of concept). Depending on the status of the technology, an invited proposal for Stage 2 might be taken up within SBIRD as a research-based project, or taken up by the Defence Innovation Hub for maturation and accelerated commercialisation. Successful SBIRD project outcomes might be commercialised directly by the participant, be the subject of a separate development support application with the Defence Innovation Hub, or be adapted to support other Next Gen Tech Fund ventures such as a Grand Challenge or Defence Cooperative Research Centre. 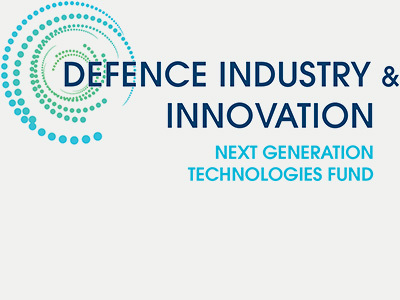 Detail for specific challenges and how to apply is provided via a Call for Applications on the DST website or via Special Notices under the Call for Submissions on the Defence Innovation Portal. The previous SBIRD topic was 'Adaptive camouflage for Uninhabited Aerial Systems'. Information about the topic is provided in the following video.